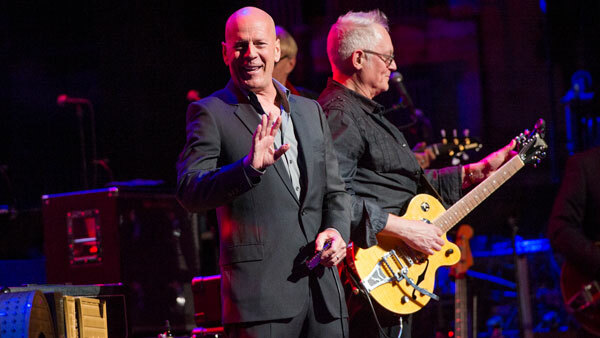 PHILADELPHIA (WPVI) -- Actor Bruce Willis will be receiving a very special award during the 26th Philadelphia Film Festival. On Thursday, October 26th, Willis will be presented with the 2nd Annual Lumire Award. Director M. Night Shyamalan, the Lumire Award's inaugural recipient, will present the award to Willis in honor of his dedication to film in Philadelphia. The presentation will take place on Thursday, October 26th at 7:30 p.m. at AKA Washington Square. The event was previously announced for Monday, October 23rd. Tickets can be purchased at www.filmadelphia.org/lumiere. For Complete Film Festival Coverage, visit 6abc.com/FilmFest.